Two people, two angels, one message, two very different reactions. The first chapter of Luke records two visits by two angels. The first angel came to a priest named Zechariah to tell him he was going to have a son and that his name was to be John. 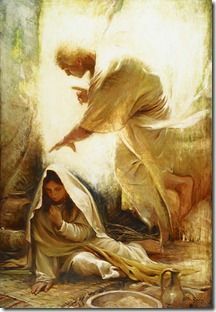 The second angel came to a teenager named Mary, to tell her she was going to have a son and she was to name him Jesus. Both angels started off by saying, “Do not be afraid” (Luke 1:13 and 30).